The business environment in the banking industry is changing at a rapid pace. As a result, the talent management practices are also likely to change alongside with the external business landscape. Some of the changes will be driven by demographic alteration, economic evolution, and technological advancements. There are mainly four pillars of TM systems. They are performance management, recruitment, compensation, and corporate learning; one is dependent upon the other. For example, when an organization’s compensation structure is better than the other key players present in the market, talented employees want to join the same happily (ORACLE, 2012). Thus, the paper will illustrate how HSBC of Australia is likely facing different contemporary management issues. Some of them include diversity, digitalization, change, globalization, and emotions. The globalization has led to different HRM techniques. For example, HSBC has to contact with its overseas branches via digital platforms. As a result, virtual teams have become extremely popular in this regard. However, diversity is an issue pertaining to overseas communication. Therefore, the paper will elucidate a robust plan to resolve all the talent management issues in relations to various contemporary management problems. Talent scarcity is nothing new in the banking sector. In fact, shortage of appropriate and skilled labors is evident across the globe and not only in Australia. Hardly, there is any good leader emerging from the chaotic business world. The survival of the organizations has never been so dependent up on the rapid reaction times and leadership quality. In the coming 10 years, several aspects are going to change drastically. For example, talent mobility will surge even more, due to long-lasting effects of the globalization. Furthermore, the right employees are attracted towards flexible work culture, emotional leadership, and cultural connection (Al Ariss, Cascio and Paauwe, 2014). It is crucial to understand that the talent management process will start right from the job postings, during the subsequent years. However, currently, it actually begins from recruitment. Passive recruitment is going to become a trend in the next few years. Even though the appropriate candidates are already present in the market yet chances are high that they may not look out for the same. For instance, a person who has financial products’ knowledge adequately can stay away from the banking market because of prevalent deception. On the contrary, an individual who merely possesses only a degree may land up in the job (Vaiman, Scullion and Collings, 2012). Therefore, in such scenarios, passive recruitment can largely assist in finding the right candidate amidst the talent pool. It is more like searching for a suitable employee via a face-to-face interaction in any coffee shop instead of formal interview setting (Shao 2017c). Demand for using technology to its zenith will be extremely important for talent management. If big data can be used for election campaigns and marketing, then the same is applicable in the case of talent management procedure as well. It will actually help the employers to maintain a catalog for recording the recruited candidates’ skill set, on-boarding, hobbies, certifications, and background. In the later stage, when any stipulated task will be allocated choosing the suited employee will become a lot more lucid. Moreover, the most economically strong nations will have more numbers of talents than that of their counterparts (Thunnissen, Boselie and Fruytier, 2013). Education will actually help in establishing a strong career for the candidates and thus it will merge in the coming years more strongly (Shao 2017f). In fact, many of the educational and business institutions will actually collaborate to a large extent, for finding the right talent. Therefore, it can be understood to what extent talent management system will require restructuring. The work pressure of the employees is increasing day-by-day in each and every sector, especially in banking industry. As a result, emotional intelligence of the leaders will be crucial for managing the entire talent pool of an organization. Even in passive recruitments also emotional intelligence will play a significant role (Stahl et al., 2012). On one hand, perception of emotions, i.e., recognizing others’ feelings and emotions will be substantial; on the other hand, employees must be trained to regulate emotions during organizational interactions and especially in the case of cross-cultural communications. Banking sector employees need emotional regulation practice even more because customers are anxious with their money. Moreover, they leave their hard earned money in HSBC. Losing the customers’ trust can actually prove to be detrimental for the bank. Digitalization will engulf the entire banking industry even more tightly, in the next 5 to 10 years. However, portraying virtual leadership will be difficult. For instance, understanding human emotions cannot be easy while interacting via virtual platforms. Conference calls will gain importance and work better than face-to-face board meeting discussions (Shao 2017d). Thus, the biggest challenge will be the distance. On the other hand, a developed nation such as Australia will receive more diverse talent. It is nothing but one of the cons of talent mobility. Furthermore, even though some of the organizations in Australia may actually harness the social media’s power yet employees readiness cannot be witnessed that much, as of now (Meyers, van Woerkom, and Dries, 2013). Therefore, it is a challenge to make the employees aware about the same. However, along with the extended use of digital platforms, cyber threats will surge. For instance, cyber theft and bullying will increase in the due course of time. It will ultimately lead to safety responsibilities for looking after the occupational health of the employees. The employer’s reputation can actually be at a stake because of various activities in the cyber space. Communication system may require to be changed in the next 10 years. For example, breaking bamboo ceiling is crucial for attracting best of the employees. However, multicultural talent management may not be easy at all (Collings, 2014). Other economic factors responsible for affecting the talent management of Australia’s HSBC are the knowledge economy, structural unemployment as well as skill gaps. A successful talent management plan include the below mentioned steps. Firstly, the organization will need to identify its various priorities and goals. 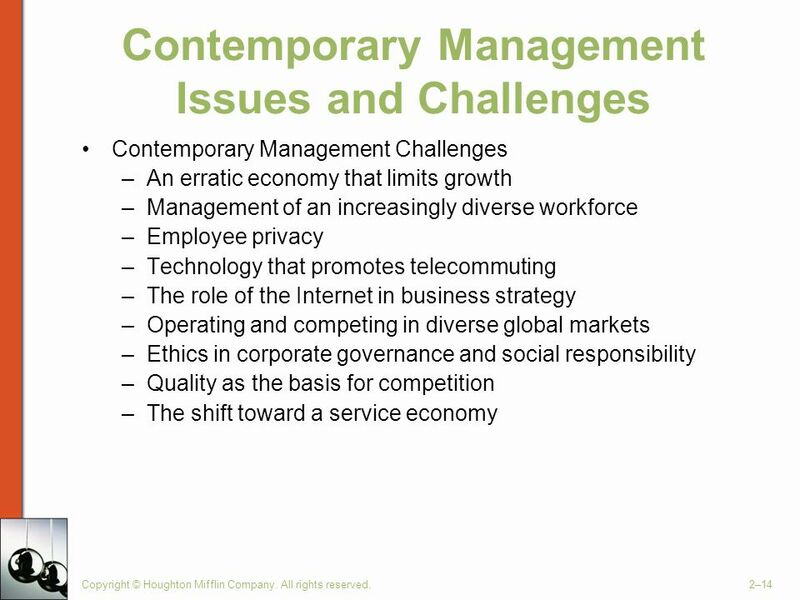 Secondly, challenges and drivers of the organization should be extracted. Thirdly, identifying the gaps is extremely important. Fourthly, defining HR goals and priorities must be initiated (Shao 2017a). Fifthly, making inventory of the organization’s talent management function is extremely important. Lastly, communicating and measuring the results of such a plan’s implementation have to be initiated. Change management may actually be incorporated by the managers for talent management. Initially, they will resist but acceptance will follow later on. As a result, Lewin’s change management model may actually work in such a scenario (Shao 2017b). There are three main steps in the model including transition, refreezing and de-freezing. Bamboo ceiling can be broken down by taking up a multicultural strategic approach. Identifying the goals such as taking care of the customers’ interests and brand reputation maintenance are quite important. Therefore, the employers have to take stringent steps to safeguard the company’s reputation. In such scenario, social media usage should be banned within the bank’s premises. On the other hand, trainings must be imparted to the employees regarding cyber rules, as exposure to the digital platform will rise after 5 to 6 years. Thus, social media policy up-gradation will be crucial (Shao 2017e). Distance in communication has to be managed explicitly during cross-cultural interaction and training. Therefore, employees should undergo these types of virtual interaction trainings. Leadership is not only restricted to managing teams but other aspects such as clarifying guidelines, encouraging open dialogues, and fostering trust are pillars of proper talent management. The virtual teams, on the contrary, require right technology for communication and choosing of appropriate touch points is crucial as well. Both social media and change management can be combined to a large extent. For example, it can shorten the distance that exists between the employees and leaders. Contradictorily, the employees can be given various roles for shaping the organization’s future. The employees’ behavior will drastically change by these steps. Global mindset is the most important talent that every organization is looking for. As a result, the employers should initiate job advertisements where the above-mentioned talent is prevalent. It also demands resilience, character, flexibility, inquisitiveness, and interpersonal skills. The two main organizational cultures which can actually eradicate the challenges are emotional culture and cognitive culture. When both the cultures will be compiled together and implemented in the system, talent management will become easier (Shao 2017g). Virtual negotiations will, therefore, increase which require cultural trainings. As a result, the employees should be sent to the multicultural workshops for mingling with various people of diverse cultures. From the above paper, it can be inferred how talent management plan of the bank must address several aspects together for enticing the best of candidates across the globe. In fact, technological advancements, demographic change, and other aspects are posing threat for the organization. After 10 years, there will hardly be any Generation X employee thereby increasing the requirement of training the Generation Z candidates even more. Furthermore, advancement in technology is taking place at a lightning speed. Therefore, it can be expected that in 10 years, virtual leadership will be one of the most desired parts of talent management process. Lastly, a culture of diversity should prevail in the organization for its holistic development and robust talent management.